The situation in Kopar Khairne was still tense, the official said. 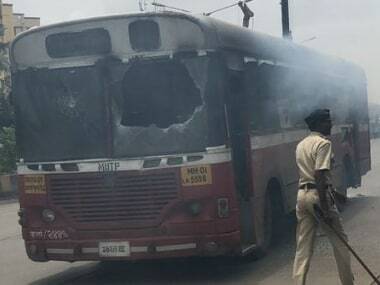 Last evening, the police had lobbed teargas shells and used baton-charge in Kopar Khairane area in Navi Mumbai after a group of protesters stoned vehicles, clashed with local people and indulged in arson. Miscreants had also set fire to a police outpost. 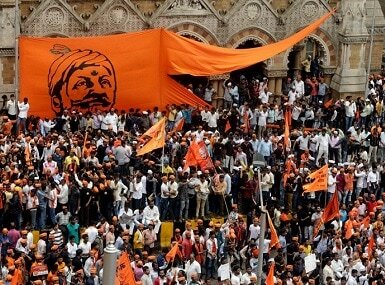 The shutdown called by Maratha groups across Maharashtra on Wednesday demanding Maratha quota in government jobs and educational institutes, turned violent as protesters burnt buses and hurled stones in various parts of Mumbai. 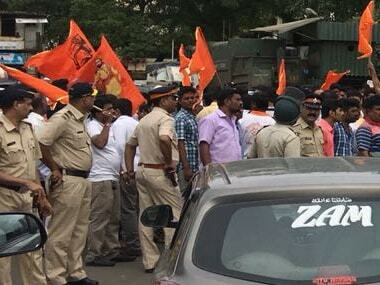 The Sion-Panvel highway which was blocked by protesters at the Kalamboli junction and Vashi has been cleared now. 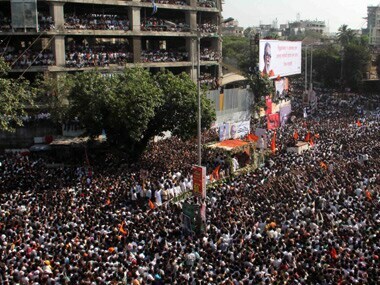 Police arrested a 21-year-old girl for questioning the toltal shutdown of the city for Bal Thackeray's funeral on her Facebook account. This is a major achievement, and one to be congratulated on, if the rule was that all funeral processions and cremations result in violence, deaths and damage to property.